The greatest anxiety new car owners have is seeing the first scratch on their otherwise shining car body paint. Unavoidable scratching can happen during car wash or even during opening and closing of car doors. Generally speaking, if the scratches are minor and the surface of the paint is scratched but the primer is not exposed, then it is not necessary to touch up the paint work. With a little sanding using a thick wax or a few more waxes, the scratches will slowly disappear. If car body scratches involve the paint primer, then look at the underlying layer. In general, the bumper, rearview mirror and wheel eyebrows of some cars are made of engineering plastic and will not rust. The problem is only aesthetic ie. unpleasant to the look. However, scratches on other parts of the car body may need restoration of the paint work. Even if a little metal is exposed such as underlying steel plate, it will rust in the long run. When that happens, even touch paint will be difficult to prevent the rusting. 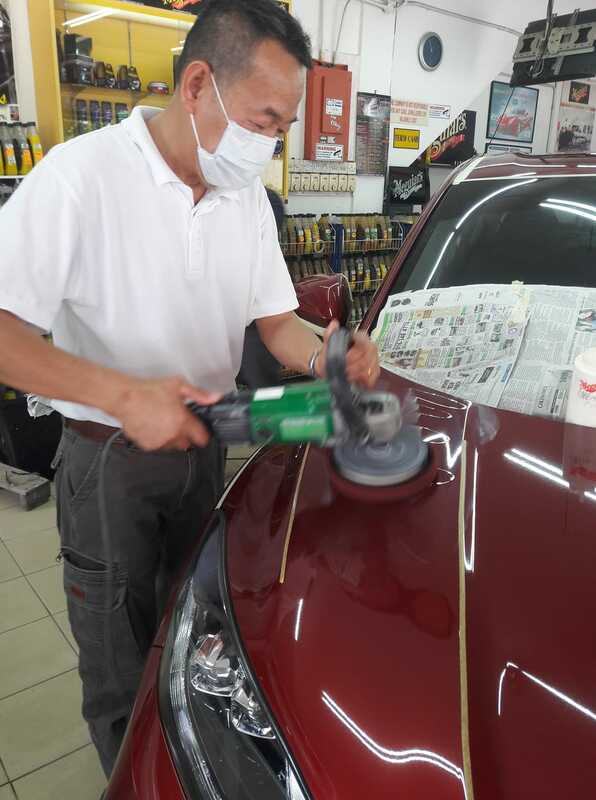 It is therefore necessary to select qualified professional paint spraying centres to touch up paint work for severely scratched or damaged cars. A skilled painter for example, will normally use a dust-free high-temperature area to obtain the best paint effect. Polish and wax products of the highest quality will ensure the restored paint work will be preserved for a long period of time. Try us out at Topbest Car Grooming Centre for professional treatment of car body work that needs restoration or repair. Our experts can recommend the best treatment for your car in the unlikely event your car suffers any scratch or damage.